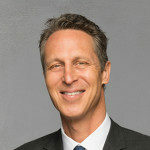 Mark Hyman, MD: OK, a little bit of a biased opinion here, but really, I am so thankful for the meaningful dialogue and conversation that takes place each and every day on our Facebook page. All of you have made such impactful impressions with your questions, comments and shares. It makes me truly happy to see it all take place. It’s my number one! Food Babe: Vani Hari is not just the Food Babe but a true activist and agent of change for the food world. She actively seeks the truth and justice from Big Food companies and food chains, holding them accountable and demanding the truth about harmful ingredients and food processes. She is truly making a difference in the way our society views food and where it comes from. David Perlmutter, MD: David is a great friend of mine and is fighting the good fight. Author of the New York Times best seller and revolutionary game changer Grain Brain, David is shedding light on the truth about fat, wheat and processed grains. He is a highly respected author and physician and a revolutionary force in changing the face of health care. Dr. Christiane Northrup: A highly respected and well-known physician, Dr. Christiane Northrup is working to bring mind and body together, to heal and bring light to real-life health issues. She captivates her audiences with her speaking and focuses on the most pressing issues facing our society today. I have had the pleasure of working with her in the past, and she is a highly recommended LIKE! Luvo: Luvo is a new kind of food company—a REAL food company. Receiving fresh and delicious food options at your door has never been easier. When you’re crunched for time, these options are far, far better than fast food! MindBodyGreen: Looking for one place that has all the health information you seek? MindBodyGreen is exactly that. After contributing a few pieces to their highly visited site, I am convinced they have mastered the art of bringing crucial and cutting-edge health information and advice to one central community. Their Facebook page is massive and brings knowledge to the masses. A great page and blog to follow. Handel Group®: Coaching is one of the most powerful ways I have found to make long lasting change stick. If you want to become more alive, awake, engaged, healthy and happy in all aspects of your life, call the coaches at The Handel Group. They are the company I use and trust! Gluten Free School: Here you’ll find an amazing collection of resources, recipes, interviews and blogs revolving around this niche topic. Jennifer Fugo brings you everything you need to know about living a gluten-free lifestyle for both beginners and veterans. With a podcast that features interviews with the top names in health and some of the most creative and delicious recipes I’ve seen, she is definitely bookmark worthy. The Blender Girl: LIKE, read, watch, learn and implement. The Blender Girl has successfully captured the attention of hundreds of thousands of people who are making small but meaningful health changes in their lives each day. Find delicious health promoting recipes here and get well! Dr. Daniel Amen: A fellow MD and an amazing advocate for health, Dr. Amen offers real-time solutions to real health issues. Join him as he actively brings health and wellness news and options. 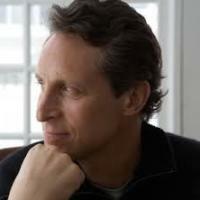 Michael Pollan: Michael Pollan is a game changer in the sphere of food and lifestyle. Author of amazing titles such as The Omnivore’s Dilemma and Food Rules, Pollan is shedding light on the truth behind food and our harmony with it. He is a true food mentor; be sure to like this highly recommended page! Environmental Working Group: The topics oftoxins and food safety are not only challenging to understand, they are also complicated to navigate. The EWG is a heaven-sent organization actively working to bring you the facts behind food, toxicity and corporate responsibility. I actively support their efforts and hope you will do the same. Now, I want to hear from you. What is YOUR favorite Facebook page to engage with?